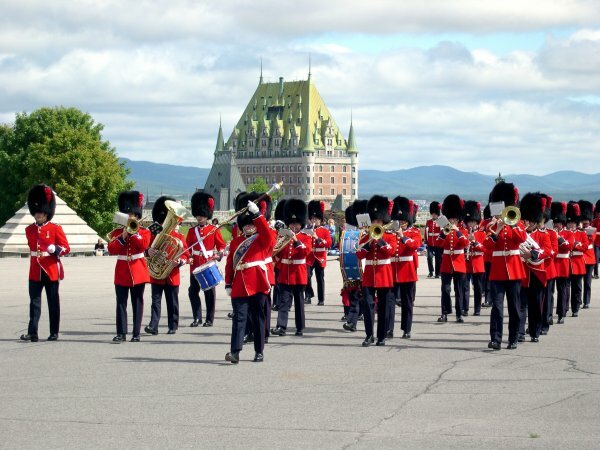 The Citadel - Cool shot of the band with the Chateau in the background. Gallery Vacation Photos Montreal/Quebec, 2003 The Citadel - Cool shot of the band with the Chateau in the background. The Citadel - This guy was coming right for me.